I hope you have enjoyed the projects so far. For May, we had to make a bag or tote of some type. 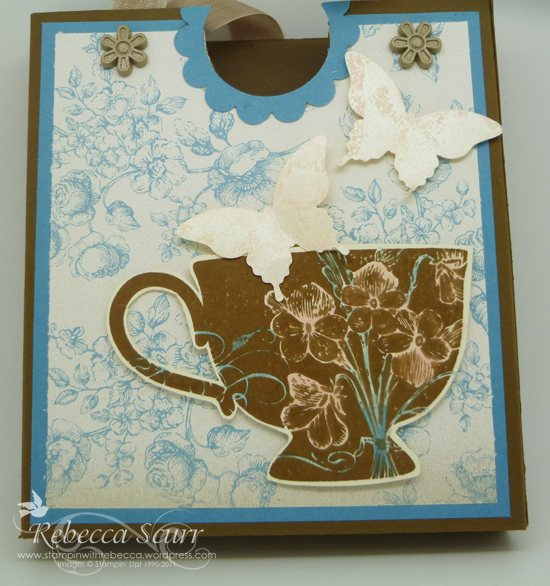 I love the Tea Shoppe Stamp Set especially the gorgeous cup! 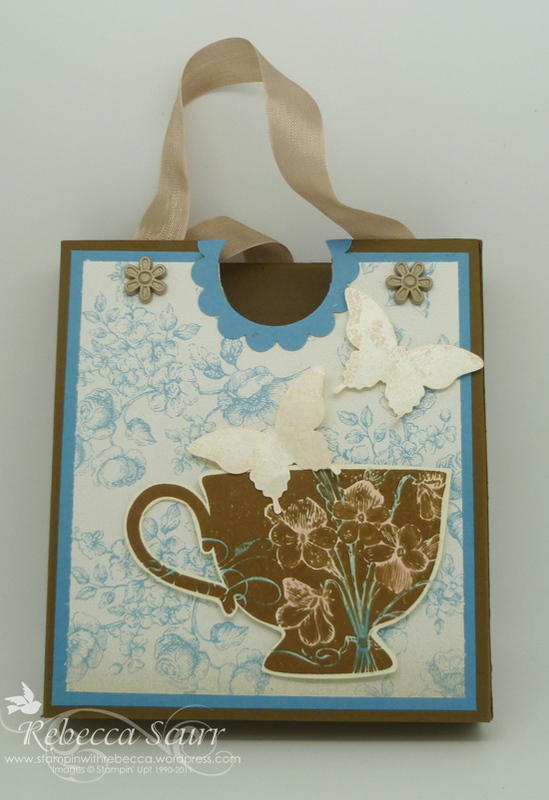 June – A Book mark and post it note cover. 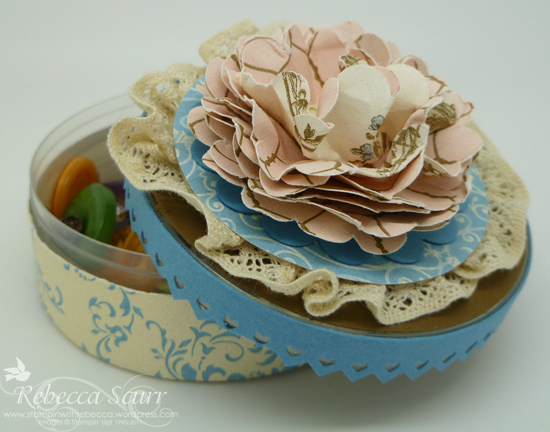 I love the Delicate Doilies Sizzlits from the new catalogue. Just so pretty!! 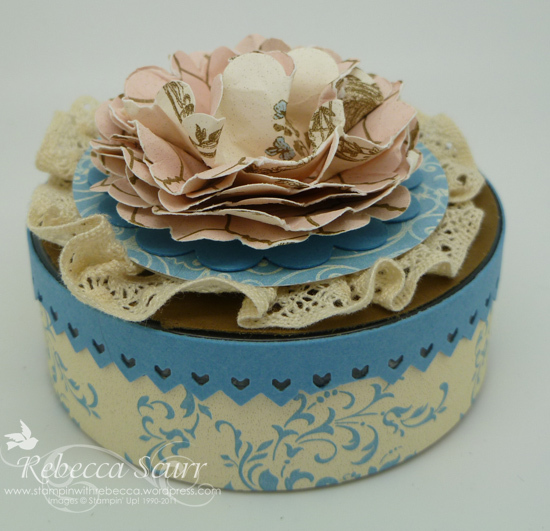 July – One small gift container containing bits and bobs. I used an empty brad container (I knew I was keeping them for a reason!) and decorated it and put in lots of brads and buttons from my stash. I’ll be back with more to share later!